The CAN-SPAM Act is the law that sets the rules and requirements for commercial emails and sets penalties for senders in violation of those guidelines. 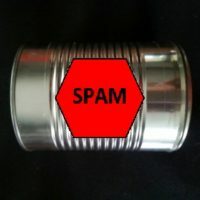 The CAN-SPAM Act applies to all commercial messages, which is “any electronic mail message, the primary purpose of which is the commercial advertisement or promotion of a commercial product or service.” The Act does not apply to messages containing transactional or other content. What many businesses do not realize, is that the CAN-SPAM Act applies to BUSINESS-to-BUSINESS and BUSINESS-to-CUSTOMER communications, and violations include $16,000 for EACH message! In considering whether or not your communication is subject to the CAN-SPAM Act, you must first identify the primary purpose of the email. If the content of a message advertises or promotes a product or service, the message is considered “commercial content” and must comply with the Act. If the content of a message pertains solely to a previous transaction, updates a customer about an ongoing transaction, or provides further information for a product or service the client has already purchased, the message is considered transactional and not subject to the Act. If the message includes both commercial and transactional information, the Act sets forth a test to determine what the primary purpose of the message is. The test involves what a reasonable person would interpret the main purpose of a message is by reading its (1) subject or “RE” line and (2) the body of the message. A message can be deemed “commercial” even if its subject line is transactional and the body of the message has both “transactional” and “commercial” components to it. For example, even if a recipient reasonably interprets the subject line of the message as an advertisement or a promotion AND then reasonably interprets that the body of the message is for the promotion of a product or service, then message is considered “commercial content” and the CAN-SPAM Act applies. use of graphics, color or other stylistic characteristics to highlight commercial content (i.e. if a subject line and body of an email contain equal parts transactional and commercial content, the subject line begins with transactional while the body begins with commercial, but the commercial content is accentuated by stylistic characteristics, then the message is likely to be interpreted as commercial and subject to the CAN SPAM Act. Monitor what others may be doing on your behalf: there are numerous companies out there that allow a business to enter customer email addresses and easily create and regularly send advertisements and promotional emails to those addressees. However, many (if not all) of these service providers have disclaimers where the business represents and warrants that it has obtained express permission to contact the addressee by email for promotional communications. Nevertheless, your business and that company are not relieved of liability for violations of the CAN-SPAM Act, even if a third party marketing service handles the email messaging. ensures that the subject and the body of the message do not contain deceptive information. In general, each separate email violation is subject to penalties of up to $16,000 (in U.S. Dollars) and there may even be additional fines if there is an aggravated violation. Some violations can even result in criminal penalties, including prison. Therefore, compliance with the CAN-SPAM Act is paramount. The good thing, though, is that compliance is relatively easy. Compliance with the CAN-SPAM Act may keep your email messages from being labeled as SPAM by anti-spam programs and email providers, which could help your email messages reach a recipient’s inbox. If you are business or email marketer, and you plan to advertise or promote your product or service through email, you should contact a Business Lawyer at The Jacobs Law LLC to review your compliance with the CAN-SPAM Act. Failure to comply can result in hefty fines and penalties, or even class action litigation. If you have already been served with a compliant for violations of or non-compliance with the CAN-SPAM Act, you should contact The Jacobs Law immediately at @TheJacobsLaw.com. We can assist you in defense of CAN-SPAM Act claims and litigation.